What is the meaning of teal pumpkins? And how do they relate to non-food treats and a safer Halloween for all children? Hello and welcome! 26 days and counting until Halloween! We’ve just started to decorate our house and plan our costumes. A new decoration we’ve added this year is teal pumpkins. Last year is really the first year I began seeing teal pumpkins at Halloween. 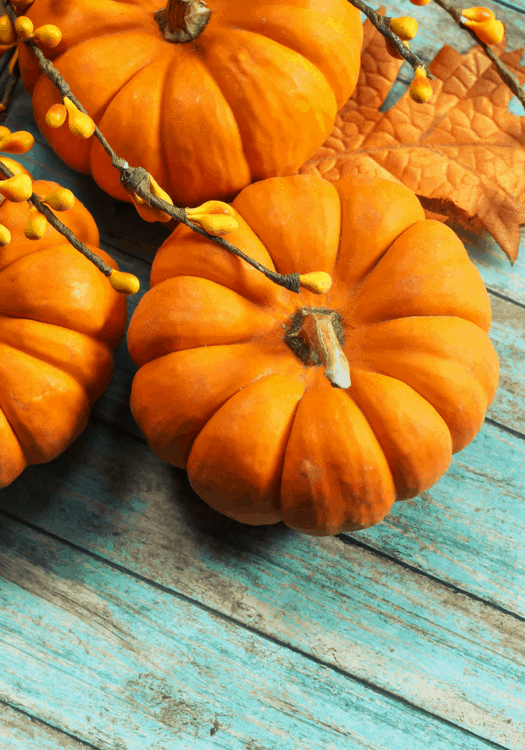 Are you familiar with teal pumpkins and their meaning? In this post, I’ll explain their significance and how non-food treats relate. Some links in this post contain affiliate links and I will receive a small commission if you make a purchase after clicking on my link. So why teal pumpkins? Teal is the color of food allergy awareness. And has been used to raise awareness for approximately 20 years. The TEAL PUMPKIN PROJECT® was launched nationally in 2014 by the Food Allergy Research & Education (FARE) organization. There are many children with serious medical conditions that benefit from non-food Halloween treats. Conditions include food allergies, food intolerance, Eosinophilic Esophagitis (EoE), Celiac disease, food protein-induced enterocolitis syndrome, children with feeding tubes and children on special diets. In fact, FARE states that one in 13 children has a food allergy. What ingredients in Halloween candy can be harmful? Nuts, milk, eggs, soy, and wheat are the most common ingredients that can cause a reaction. So how can you get involved? Display a teal pumpkin for Halloween and/or a Teal Pumpkin Project Flyer. (Download the Teal Pumpkin Project flyer here.) Stock up on non-food treats. Don’t know what to provide? No worries I have a list of ideas below. You can even provide both candy and non-food items. Just be sure to ask kids which they would prefer. We’ll be doing both this year. 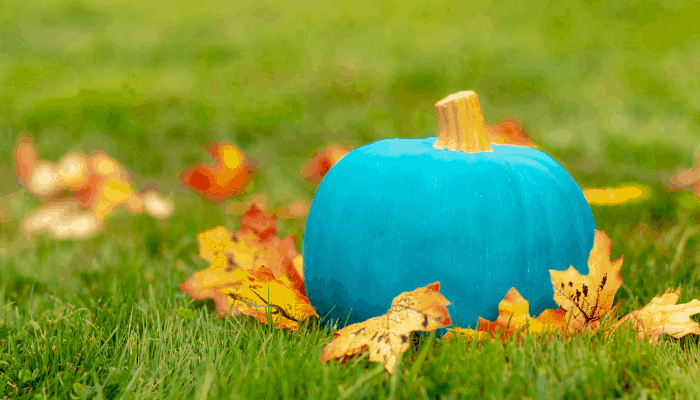 In preparing for this post, I thought of several different ways to make teal pumpkins; however, a real pumpkin painted teal looks beautiful and delivers the message clear and simple. You could also make teal pumpkins out of pallets, pour concrete into a plastic pumpkin treat holder (remove and then paint) and more. I used the same paint set I used for the spooky treat jars from last week. I love this acrylic paint set because of the range of colors and the price. I purchased the pumpkins from the grocery store, but in the next few weeks, we’ll be heading out to the local pumpkin patch to have the kids pick out their own pumpkins to carve. Apply two coats of paint to each pumpkin, letting each coat dry in between. I used parchment paper to avoid a big mess. Store the pumpkins outside until Halloween, if your weather is cool like ours this time of year. We’ll see if ours last until Halloween. I don’t think it’ll be a problem since they are painted instead of carved. I’m really looking forward to Halloween this year. Last fall we moved into a neighborhood that makes Halloween so much fun. Many houses have elaborate decorations. And some get really creative with the “treats” they give to trick-or-treaters. One family gave orange, black and red balloons. Such a fun idea. One of my favorite memories from last year is watching the “sea of kids” dressed up in their costumes carrying their Halloween balloons. Glow sticks are also a really fun option. And multi-purpose. Fun for the kids, but will also help drivers see them in the dark. We purchased glow stick wands (similar to the ones below, but flags) for the Fourth of July — the kids had so much fun with them. I’m definitely adding these to our non-food treat bucket. There are so many fun toys and figurines you can find. Here are just a few options. Thanks for stopping! I hope you find this information and list of non-food treat options useful. Please say hello in the comments. Have you seen Teal Pumpkins? Did you know the meaning? Do you have any ideas to add to the non-food treat list? Absolutely. Teal pumpkins are becoming more and more popular because of the Teal Pumpkin Project. 🙂 Thanks for checking it out! These are terrific ideas. Our little one is still about a year or two away from trick or treating but we are always on the look out for fun ways to incorporate the holidays into our life. Thanks for sharing!!! Thank you! Enjoy that precious time with your little one. 🙂 You’ll be out trick or treating in no time. Thanks so much for taking the time to check it out.